Start living your best life at home with a little help from IRT. We’re home care specialists, with a range of convenient privately-funded services for you to choose from. With 50 years experience caring for older Australians, our qualified aged care professionals provide services you can trust. Keep living at home independently, with a little help from IRT. receive as part of your service. Book each service as a one-off or recurring visit. You can add multiple services to build a comprehensive service bundle. Complete your booking via Paypal or Credit Card. You will receive a confirmation email with a summary of your service bundle. Get help with daily chores like cooking, cleaning and laundry. Or let us take care of your general home maintenance, like lawn mowing, gardening and exterior cleaning. Our team of friendly professional staff will keep your home clean and tidy, just the way you like it. Choose from our range of light household cleaning services. Note: The duration of your appointment will determine which tasks we can help you with on the day. Select your preferred date, time, duration and frequency of visits below. Minimum duration applies to all services. 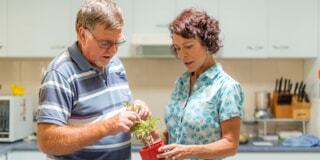 We offer home care services in NSW, the ACT and QLD. Check to see if we offer online bookings for IRT Home Care services near you. IRT at home don't yet offer online bookings for home care services in your area, but we're constantly expanding. Please register your interest, or call 134 478 to talk with our Customer Service team about our home care options. Let us keep your lawns and gardens in tip top condition. 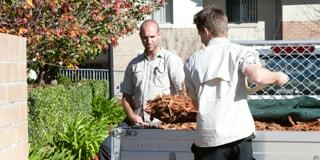 Choose from our range of professional garden maintenance services. Maintaining a home can be a lot of work. Choose from our range of exterior household cleaning and repair services. You can trust our qualified staff to help you look your best. Bath and shower safely, get dressed with ease and have your hair and nails taken care of. You’ll look and feel great. It's hard to find someone to help with your personal care. Let IRT's professional carers help you with your everyday. We can help manage your wellbeing! Let us coordinate your medical visits, or find treatments and aids that benefit your health. less than 24 hours before the scheduled time for performance of the service, you will not receive a refund. The payment information you provide when placing your order will be used to pay for your order and process any applicable refund. Yes, if you need to reschedule your visit, you can contact us on 134 478. Please aim to provide us with at least 24 hours’ notice if you need to change your visit to allow us to offer the time to someone else. Once you have built a service bundle and filled in the required details on the Checkout page, you can pay via Paypal secure checkout using your credit card or Paypal account. For bundles including recurring services, the initial payment will cover the first booking of each recurring service. Payment for subsequent scheduled visits will be processed 24 hours prior to the service delivery. If there is something you are after that is not listed, please give us a call on 134 478 to discuss this with one of our friendly team and we will do our best to accommodate your request. What if I want a service not listed? If there is a specific service you would like us to deliver but don't see it listed on our Book A Visit page, please feel free to give us a call on 134 478. We will do our best to find a way to accommodate your request. Anyone within the serviced geographic region can purchase our services however, we do specialise in providing services to seniors. Currently, the serviced geographic region includes the Illawarra. We will be expanding this region soon. Our services are provided based on an hourly rate and these do vary for different services. Complete the details on a relevant service above to see current prices. Can I change the service being delivered? If you would like to change the service you have requested, please contact us on 134 478 as far in advance of your booking as possible. If you would like to change the service being delivered when the staff member arrives, the staff member can agree to this change at their discretion. What happens if I don’t need the whole amount of time? If the service you requested is completed in less than the time you have paid for, you can ask the staff member to complete other relevant tasks for the remaining time. Unfortunately, if you have booked longer than you need for a service, we cannot provide you with a refund. What happens if I want more time? If you find that you did not book long enough for a service to be completed, you have the option to book us to come and visit you again to finish off the services at our next available time. Unfortunately, you cannot extend a visit on the day without calling us before the staff member arrives.